27/8/2018, marktplaats, 55 euro, the C64 will function as donorboard for the Compucase 64d. 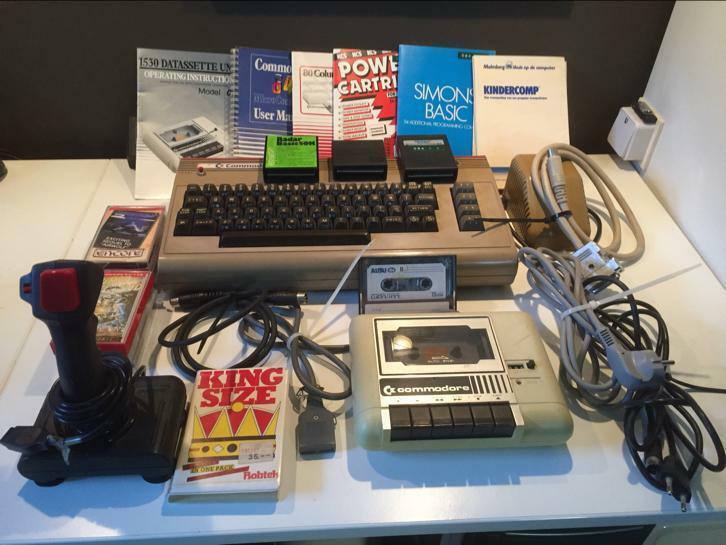 This entry was posted in Auctions and buying, My Collection and tagged Commodore 64. Bookmark the permalink. Could you add more pics from C64 & box that you are selling, please? Could you send the pics from the box and C64, also i would like to know what would cost shipping to Finland? My email is above. Hi Juha…it became clear that you were referencing the shopmodule….and I am sorry, I was testing the ecommerce module last April….i did have a boxed 64 back then, but it is sold on the Dutch ebay website overhere…and I forgot to remove all the testing of the ecommerce module. I am sorry for the misunderstanding and misconfiguration.